Leader of the group known as The Saviors, Negan is one of the most merciless enemies to ever wield a bat on The Walking Dead®. 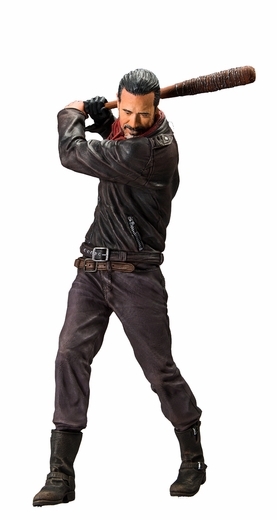 With no remorse, Negan executes those who get in his way with his weapon of choice, Lucille. With the barrel end wrapped in barbed wire, Lucille is the iconic baseball bat that Negan wields to not only intimidate others, but eliminate them as well. © © 2013 McFarlane Toys Store. All Rights Reserved.